Gov.-elect Tom Wolf is expanding his transition team with a new steering committee that draws from across Pennsylvania. A former U.S. attorney who worked in former Gov. Bob Casey’s administration, the head of the state’s largest health care workers union, and a rail industry expert are among those tapped for the steering committee. They’ll review state government functions and shape the incoming administration. Montgomery County Commission Chairman Josh Shapiro, part of the transition team’s previously announced leadership, is helping examine the state’s budget. “What we really want to find out is what are the structural problems. What are the real sources of the fiscal mess that we’re inheriting and the hole that exists,” he said. 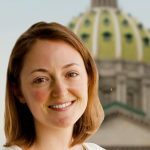 The commonwealth’s fiscal outlook has gone from bad to worse since Wolf began filling in his team. Last week, the state’s Independent Fiscal Office reported the commonwealth expected to face a budget deficit of $1.85 billion next year.